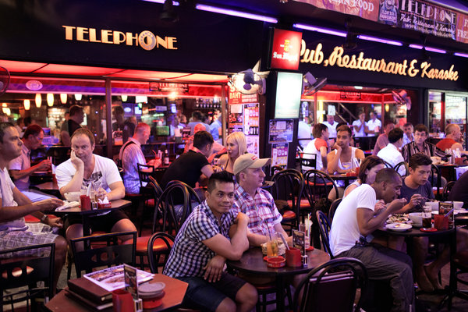 In recent advertising and marketing campaigns, the government has pursued categories of tourists, such as Muslims, Israelis and gays, that are shunned in some neighboring countries. It is the only Asian country that has a government-sponsored campaign aimed at gay and lesbian travelers. It is also marketing itself to Muslims as a place with abundant choices of Halal restaurants and many prayer rooms in public places such as shopping malls. Also, while Malaysia and Indonesia, both Muslim-majority countries, bar Israelis from visiting for political reasons, Thailand has long been one of the most popular destinations for Israeli travelers, with 120,000 Israelis visiting the country in 2012. “We live in a country that is open and pretty liberal — I can’t think of a market that we wouldn’t welcome,” said Wisoot Buachoom, the director of the Tourism Authority of Thailand’s office in Chiang Mai. In recent advertising and marketing campaigns, the government has pursued categories of tourists, such as Muslims, Israelis and gays, that are shunned in some neighboring countries. It is also marketing itself to Muslims as a place with abundant choices of Halal restaurants and many prayer rooms in public places such as shopping malls. “We live in a country that is open and pretty liberal — I can’t think of a market that we wouldn’t welcome,” said Wisoot Buachoom, the director of the Tourism Authority of Thailand’s office in Chiang Mai.